DDL: FABRICATION & PROJECT MANAGEMENT: Tod Hanson - Apex Theatre. We are experts in the design and fabrication of art works, from small individual objects through to ambitious large installations. We have worked closely with a number of artists and designers to realise their ideas from initial concept. We conduct extensive material and method research, and plan and execute all aspects of production of the finished article whilst meeting budget and time-scale constraints. We are able to undertake all aspects of project management to realise ambitious commissions; liaising with artists, in-house producers, curators, commissioners, host venues and transport partners. We can provide appropriate method and risk documentation as required. 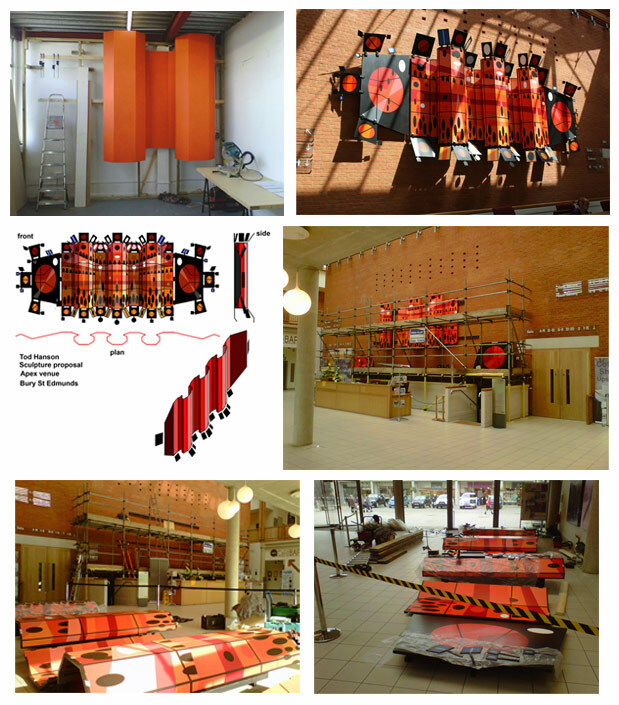 Off-site fabrication of 3-dimensional support (MDF/pine) for painted relief installation within a theatre venue. This project involved interpreting the artist's concept and plan drawings into a light weight, modular system for ease of production, transport, handling and installation. We devised the hanging and installation method in consultation with a structural engineer, and provided transport, logistics and on-site installation. 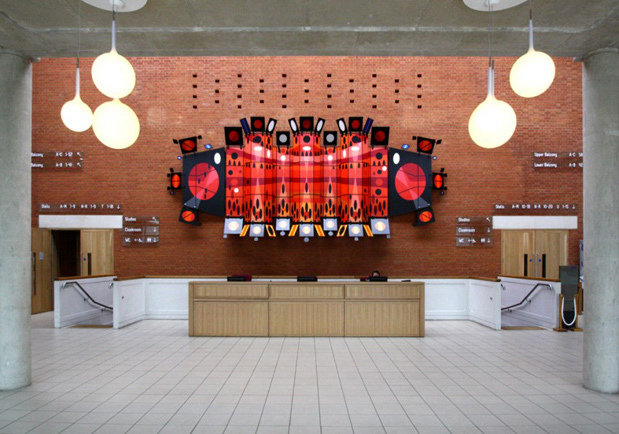 Client: artist Tod Hanson (with Commissions East), 'Crenulated Zoom', Apex Theatre, Bury St.Edmunds, 2012 (photo: the artist).